2010 Asian Touring Car Series Champion Charles Ng took his first WTCC Championship point in Shanghai with a drive from last to tenth in race two, but also picked up a 30 second jump start penalty in race one in his first race with the BMW 320 TC. 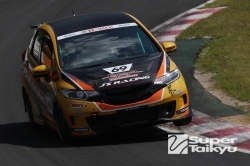 Ng raced at Suzuka with Engstler Motorsport's normally aspirated BMW 320si, but this weekend was upgraded to the 1.6 litre turbocharged car which was used by Masaki Kano in Japan as well as by Marchy Lee and David Sigacev earlier in the season. no two carbotech submersible would be the same. It'll unquestionably modern in the establishment, but practical design inspiration from Breitling Bentley 1950 coded in the 50? ?s from the 20th century. The famous Italia Navy commandos this might not, but it doesn't mean that it'll not play an activity. This really is still an expert level instrument. Although the 27-year-old had to start last for both races after spinning out in qualifying, Ng put on a strong run in race two to move into tenth place and finish in fourth in the independents' classification. Ng was however deemed guilty of exceeding the rolling start speed limit before the lights went out in race one, which earned him a 30 second retrospective penalty for the race, which doesn't affect his finishing position of 16th with the next car of Pepe Oriola one lap down. Ng will again race for Engstler in the 320 TC in Macau, now formally replacing Marchy Lee on the entry list for the Championship finale.